Looking back through old photos is always interesting for me because as time passes, my tastes change, and things that I felt were whatever, have now taken on a different meaning. While looking through some old 35mm scans from a trip I took back in 2004, I found this one. 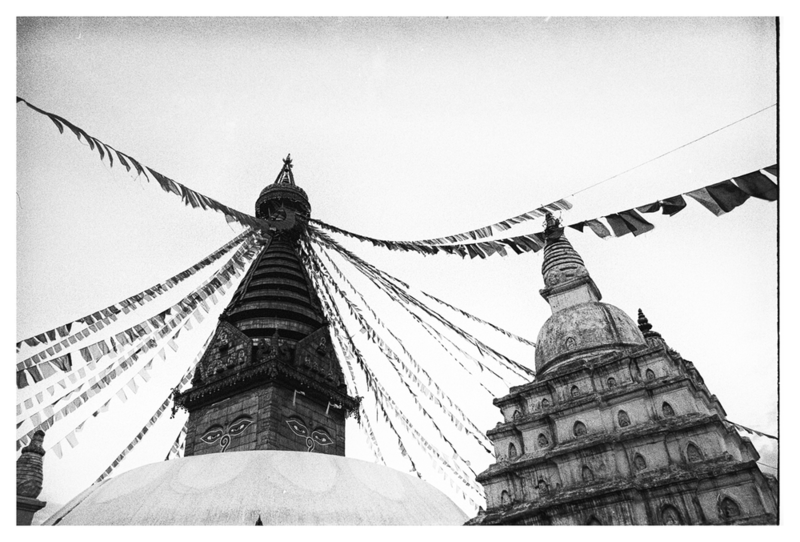 It’s a fairly simple photo of Swayambhunath Stupa in Bhaktapur, Nepal. There is nothing crazy going on, no incredible human feat, aside from the creation of both buildings, but It brings back great memories of my first traveling experience. I look at it and feel the same sense of awe and inspiration that I felt at that moment, and I think maybe that’s what photography is about sometimes.